Looking for a New Mercedes-Benz S-Class Coupe in your area? CarGurus has 389 nationwide Mercedes-Benz S-Class Coupe dealers with 594 new car listings. The current sixth generation of S-Class has been around since 2013, but a there are several upgrades for 2018 to keep things interesting. The 2018 S-Class blends power with plenty of comfort whether it’s a base model or a tire-shredding AMG model, so soaking up the miles at high speed comes with ease, be it on the Autobahn or Route 66. 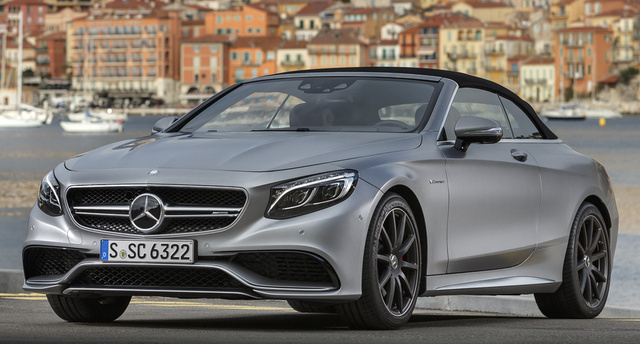 The base model is now called the S560, with a 4.0-liter twin-turbo V-8 rated at 468 horsepower and 516 pound-feet of torque. The S560 is all-wheel drive (AWD) and features a 9-speed automatic. The mid-range model is the AMG S63, which has the same size engine as the S560. It’s a hotter 4.0-liter V-8 with 603 hp and 664 lb-ft of torque. While that’s more than enough to burn plenty of rubber, last year’s big V-12 is still available in the AMG S65. The engine in that car is a 6.0-liter unit with 621 hp and 738 lb-ft of torque, and instead of a 9-speed with all-wheel drive, the V-12 car is rear-drive only and continues on with the 7-speed automatic that can handle its monster torque. All of these cars are quick, with their 0-60 mph times coming in at 4.5 seconds for the S560, 3.4 for the S63 AMG, and 4.0 for the S65 AMG. The S-Class also features adaptive suspension with Sport or Sport Plus modes as well as a Race mode for AMG models. Slide inside and there’s no escaping the fact that this is a high-dollar luxury car. There are plenty of little touches, like an automatic arm that presents the driver with his or her seatbelt or the fragrance diffuser. Dominating the dashboard are two broad rectangular screens that display digital gauges as well as numerous other features operated via a touchpad control system. The soft, high-quality leather seats have heating and cooling plus several massage options that can be operated by voice command. There is also fully customizable ambient interior lighting. 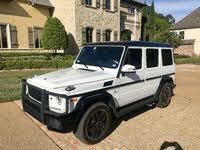 Stereos are high quality, ranging from a 10-speaker Harman system to a 24-speaker Burmester 3-D surround sound system. There are also several driver-assist features. Many of the features are familiar to Mercedes-Benz drivers, just broader in their scope and ability for 2018. The active lane-change assist feature makes the vehicle switch lanes automatically if the turn signal is activated and the car detects an empty lane. Active steering assist also now functions at more speeds and through tighter curves. Blind-spot monitors also work under a broader range of conditions than before. The optional infrared night vision system is also still available. The S-Class has not been safety tested. What's your take on the 2018 Mercedes-Benz S-Class Coupe? Have you driven a 2018 Mercedes-Benz S-Class Coupe? Enter your zip to see incentives for a new S-Class Coupe in your area. 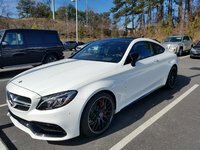 Looking for a Used S-Class Coupe in your area? CarGurus has 1,101 nationwide S-Class Coupe listings starting at $52,600.